Interleaved Continuous Conduction Mode (CCM) Totem Pole (TTPL) Bridgeless Power Factor Correction (PFC) is an attractive power topology with use of high band-gap GaN devices, because of high efficiency and reduced size of the power supply. 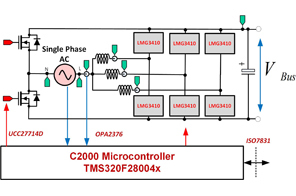 This design illustrates a method to control this power stage using C2000™ MCUs and the LMG3410 GaN FET module. 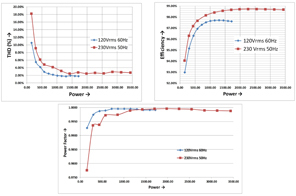 Adaptive dead-time & phase shedding methods are implemented for improved efficiency. The Non- Linear Voltage Compensator is designed to reduce overshoot and undershoot during transients. 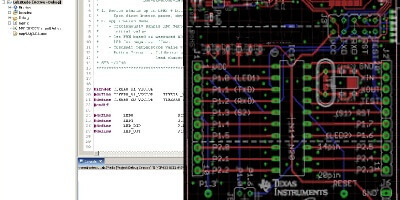 A software phase locked loop(SPLL) based scheme is chosen to drive the totem pole bridge accurately. The hardware and software available with this design helps accelerate your time to market.